New MAN trucks on their way! MAN is working on a new generation of heavy trucks. We showed some early prototypes before on Iepieleaks, and here are two fresh shots. 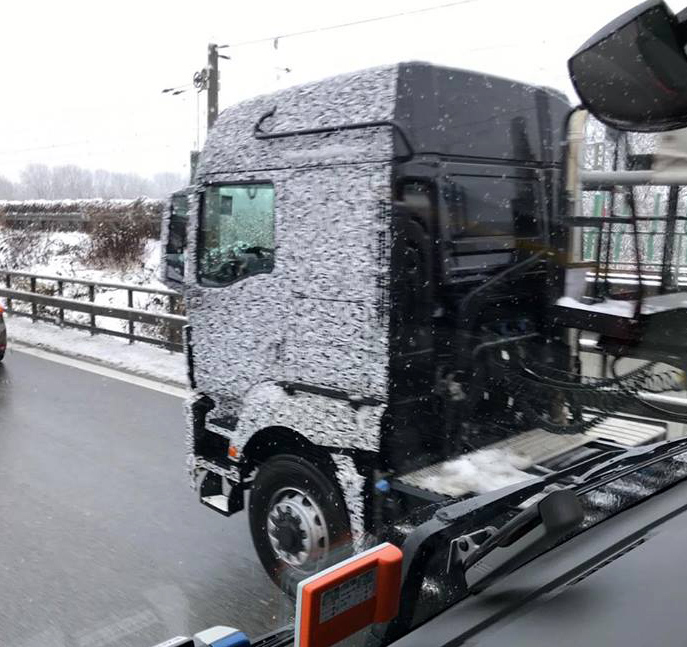 These were taken on the Autobahn near Munich this morning. The cab seems to be basically the same but the high roof is completely new. Also the doors have a different shape with bigger windows. The huge mirrors are still there but we do espect MAN to come with camera’s, just like the new Actros. The big question is if there is going to be more shared ‘Traton’ technology in the new generation. 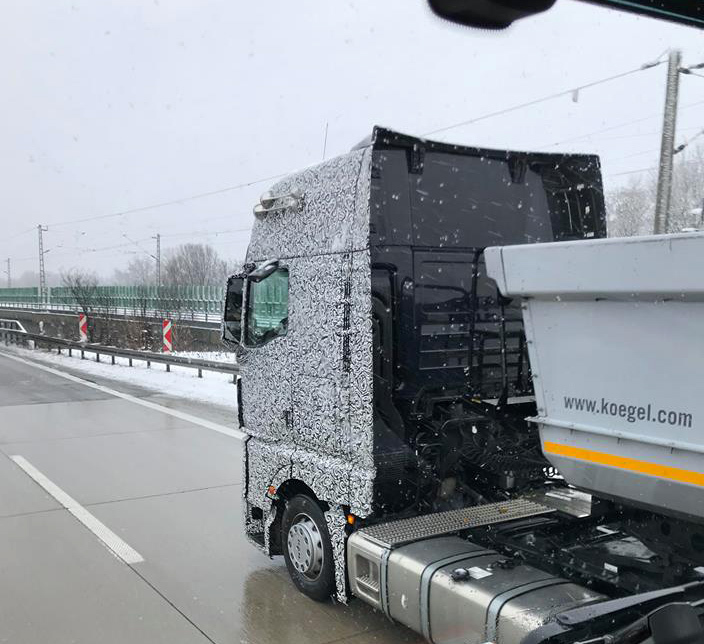 At this moment MAN is already using the ‘group’ gearbox, and the espectation is that sharing components is the way to go for both MAN and sister brand Scania. Probably the news of MAN is going to be introduced somewhere in 2019, but we don’t know that for shure yet. Thanks for the pictures Roy Gerrits! And keep them coming our way! 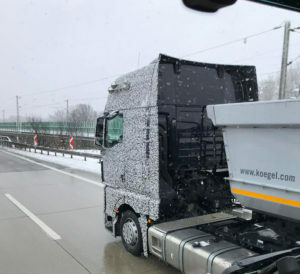 ← Next Iveco Stralis leaked photo’s!